I sat there and watched everyone ease into conversation like trying on clothes for the first time but it fits them nicely as if it’s been tailor-made. Some of them have just met for the first time yet they made it look so easy. I, on the other hand, enters a social situation like a person who attended a funeral in a red outfit. This is pretty much how I behaved when I met my KTG friends over lunch to try the new offerings of Sugi Japanese Restaurant. We were welcomed by the marketing manager, Ines Cabarrus who welcomed us all like she had known us forever. I sat right across from her on the table and I remember admiring this woman not only for her beauty and wit, but more importantly for her effortless ability to engage people in conversation. In my head I was like, why can’t I act like that. Not that I’m incapable to do that, but don’t count on me with people I just met. A friend even observed that I automatically clam up when put in the sea of strangers. I find one of the easiest ways to deal with social awkwardness is through dining. Eating together is one of the best social activities. So I was quiet most of the time but I knew I would be fine especially when Ines explained that they are serving us some of the Sugi classics, a secret off-the-menu dish, and dishes that are specially served this month of December. So let’s begin with their December menu. 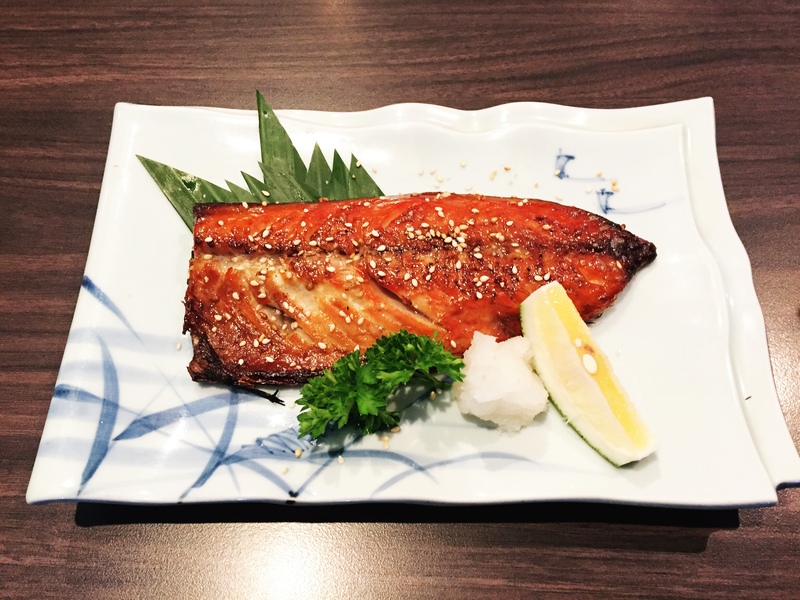 Saba Mirin Boshi is a Japanese Mackerel marinated in soy sauce and Japanese rice wine. Yes, we are starting with my favorite and it’s delicious with or without rice (but of course, it’s better if you have it with rice). The meat of the fish is so soft and savory that I couldn’t get enough of it. I think if there is any dish worth fighting for, this is it. And by that I mean order it for yourself and don’t let anyone else touch it hahaha… I just loved it. 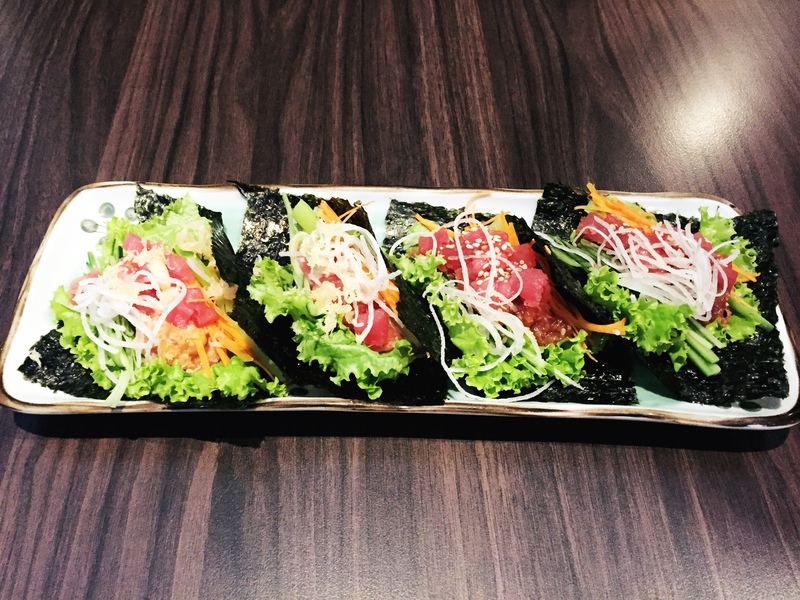 Another December special is Tuna Salada Isobe Maki; it’s miso marinated tuna and spicy tuna atop fresh nori wrapper. By the way, I didn’t misspell salada, it’s the Portuguese word for salad. They also have a secret off-the-menu offering, which means you can’t find this dish on the menu but if you order then they are going to cook it for you. I think that’s quite cool, kinda like having a dish only you know about. 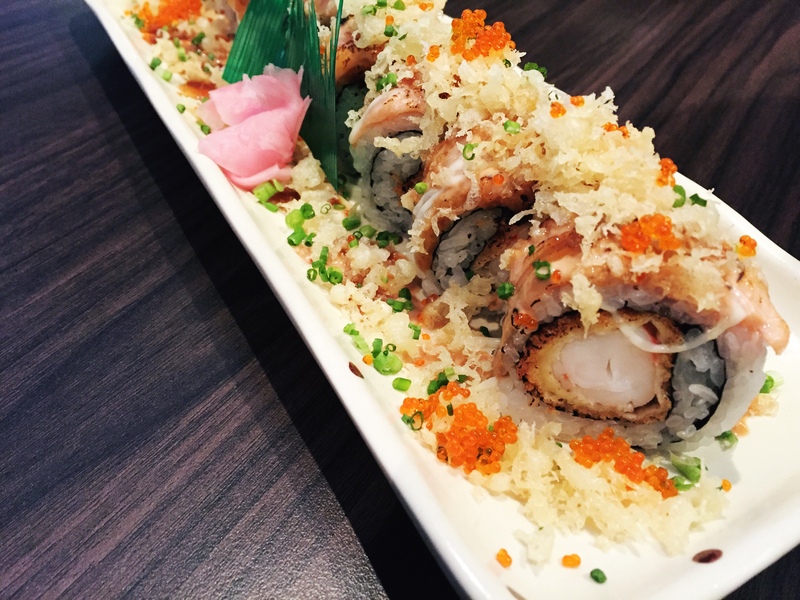 The secret dish that we had is called, Salmon Aburi Maki; it’s Ebi fry roll topped with torched salmon dressed with spicy mayo and teriyaki sauce. This is the bomb, I think I had 3 rolls of it, that’s how good it is. For the Sugi classics, we had Ebi Tempura, Beef Steak Teppanyaki, and Sukiyaki. 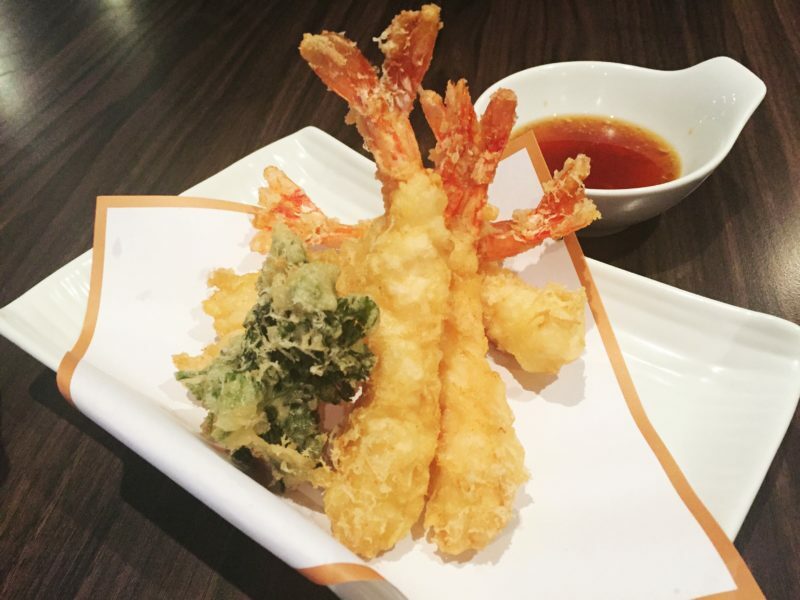 The Ebi Tempura was crisp and the breading is not overkill (as the case in most tempuras that I’ve had in the past). 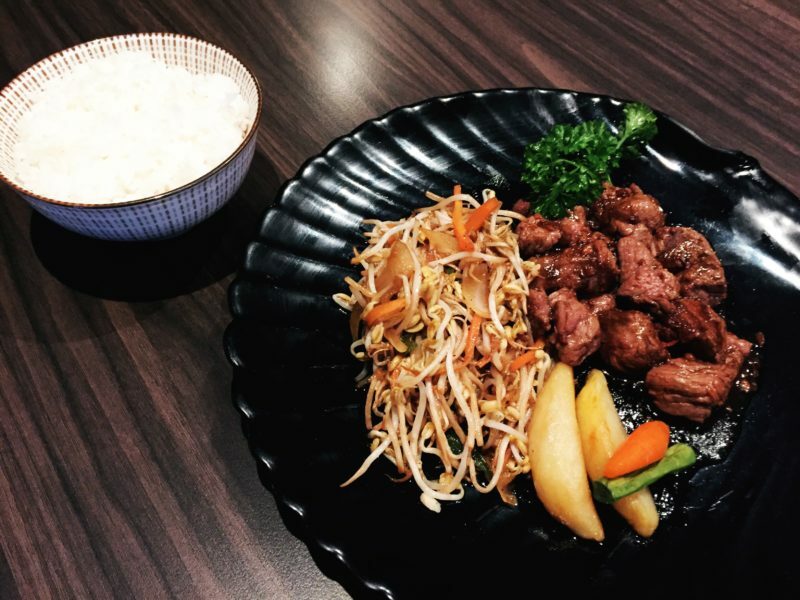 The beef steak teppanyaki was cut into bite size pieces. It was very juicy and tender and it was served with mung sprouts. 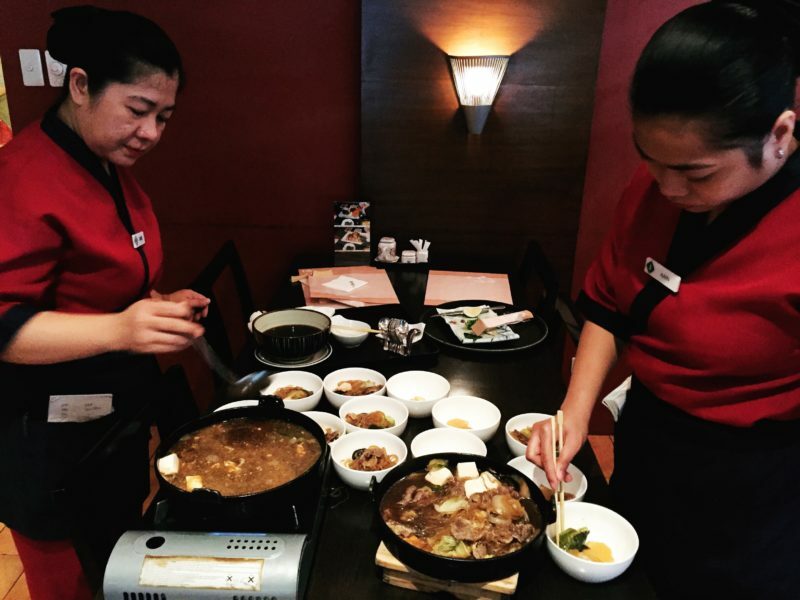 The Sukiyaki was cooked by two of their staff right on the spot. This reminded me of the dinner that I had in Shiga where the chef cooked Sukiyaki in our room. 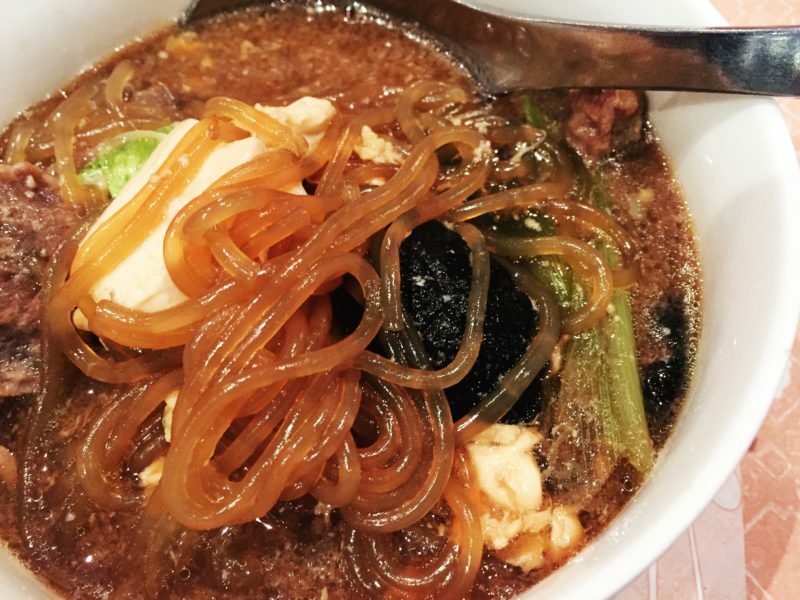 Makes me wonder if this is how Japanese restos serve sukiyaki. I have no conclusion about my social ineptitude, I have been like this since time immemorial. But I am thankful for the existence of people who are naturally sociable like my KTG friends because they do help in making me feel comfortable. And because we had a very satisfying lunch at Sugi, it made the whole dining experience perfect for me. Truly, Sugi Japanese Restaurant has a boat load of food to offer, which all looks so classy, but very luscious. 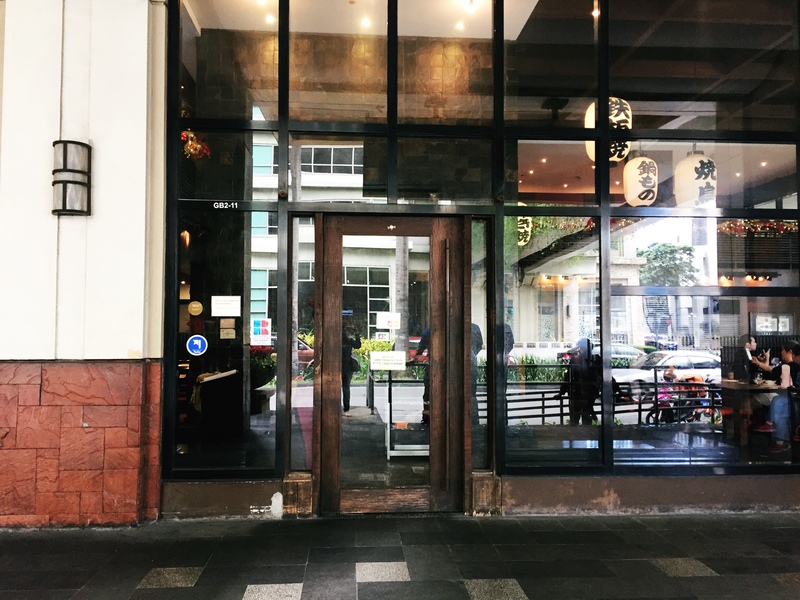 I rarely eat in a beanery and when I get the chance, I always love to write my experience, especially when I love the food. The Tuna Salada Isobe Maki looks so tempting, and I love how it was presented. I will surely love the Matcha Ice cream, since it’s my lone favorite ice cream flavor. I will surely check this restaurant if I get the chance. Thank you so much for sharing this with us. I love the secret dish concept. It gives me the added boost to visit the diner frequently because it is as if the dish is always served exclusively for me. Would love to try this restaurant. I hope my husband’s weekend is open for a quick date. This all looks delicious! The secret meal especially looks incredible. i love the idea of ordering a secret dish. Do they tell you what it is before they bring it out? I shouldn’t have read this before eating breakfast. 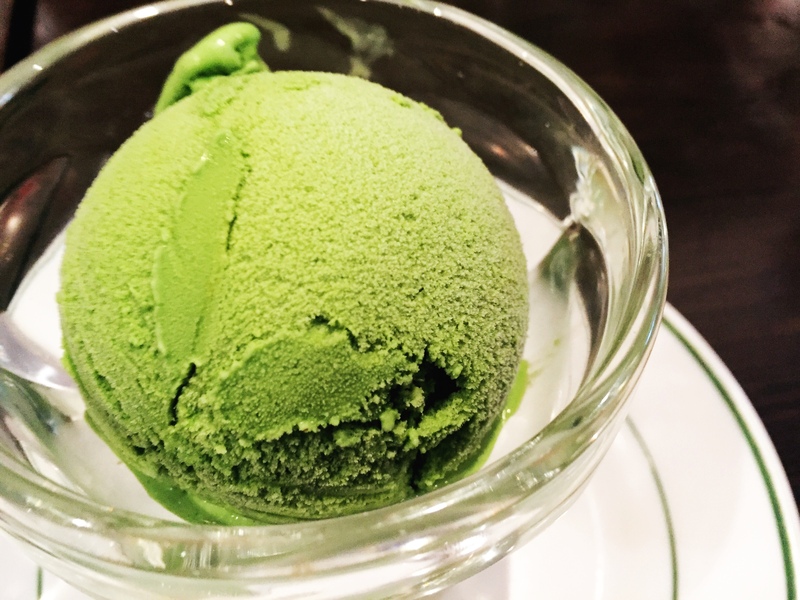 I love Japanese food and PARTICULARLY matcha ice cream. The Salmon Aburi Maki sounds amazing, too. The food looked really amazing, amazing enough that I actually noted it down and will eat there this weekend. The maki and the mackerel and tuna salada were the bomb. Hi Sheena, it’s not the restaurant that is socially awkward, it’s me. wow that looks like one heck of a meal! Love the secret dish. What was your favourite item?